Part of a small demon lair in North Las Vegas, tattooist Harper Wallis lives a pretty simple life. That changes overnight when she discovers that her psychic mate, or ‘anchor’, is a guy who’s rumored to be the most powerful demon in existence. Compelling, full of secrets and armed with raw sexuality, Knox Thorne is determined to claim her as his anchor, creating a psychic bond that will prevent their inner demons from ever turning rogue. The billionaire also wants Harper in his bed. She’s not so sure she wants either of those things. No one seems to know what breed of demon Knox is, only that he’s more dangerous than anything she’s ever before encountered. But he refuses to walk away. And when an unknown danger starts closing in on Harper, it seems that Knox is the only one who can keep her safe.As Prime of his Las Vegas lair and a successful businessman, Knox Thorne is used to being in control. He’s also used to people fearing and obeying him. Harper does neither, which unexpectedly amuses him. Unpredictable, elusive, and complex, she draws Knox and his inner demon like nothing ever has. Knox is used to getting what he wants, and he wants Harper. He’ll have her, and he’ll keep her safe from the threat that looms over her. Because Knox protects what’s his. He won’t allow anyone to take her from him. Even if it will mean letting the demon inside him rise and wreak the havoc it was created to make. 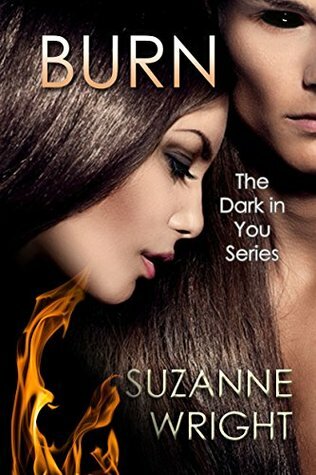 This was suggested by my lovely friend Gaby, who is a big fan of Suzanne Wright; it was my first read by Suzanne and it certainly won’t be my last. The problem I had with first books in some series of the PNR/Fantasy genre, that a few authors concentrate on world building and developing the characters, that it takes away from the plot and the romance, not Ms Wright; We have here a complete novel IMO that had all the elements to make it enjoyable. This book had descriptive and captivating writing, an engaging and fast-moving plot, well-developed characters, suspense and action which made this FUN, FUN and more FUN to read. One of the main things I enjoyed were the characters, and as Gabs perfectly described them, our protagonists Harper and Knox are ‘sassy and bossy’- Thank the lord for that as I was really getting sick of ‘whiny and whipped’. They were well-developed, had such great chemistry, amusing banter and the sexual tension was riveting. Suzanne Wright made a strong believer out of me, from the first few chapters that Harper and Knox belonged together. I have to mention the secondary characters who were just as interesting and enjoyable, mainly Knox’ sentinels and Harper’s friends, I see some sparks there, can’t wait to read their own books- The villains and the suspense made for some nail-biting moments. While it’s not a ‘I can’t put it down’ kind of read for me, I still recommend it and would read the following books.